After pressure was brought to change the name of the European GT Open Series to the International GT Open, now we have the Euro GT Series having to change its name – to that of its sponsor, Rhino’s. ‘After five years of use the FIA has requested the Euro GT Series to change its name,’ is the wording of the series’ press release. Rhino’s is an emerging energy drink brand and has signed a multi-year sponsorship contract with the GT Series. The roots of the Rhino’s GT Series go back as far as 1989, when a new Dutch National competition for Porsche and Ferrari cars was founded with the name Ferrari – Porsche Challenge. To allow a more exciting starting grid, the name was changed to Euro GT Series in 2001 and the new name received the FIA’s Approval then. The series’ regulations and calendar 2006 were submitted for approval to the FIA World Motorsport Council recently (March 22), under the chairmanship of Max Mosley, and it appears that the series might have had some sort of FIA sanction, with Euro in its name. Rhino’s co-organizer Pierre von Mentlen, who takes care of the series’ commercial issues, says: “It is a big disappointment that the FIA has blocked the name now the Series is really taking off. 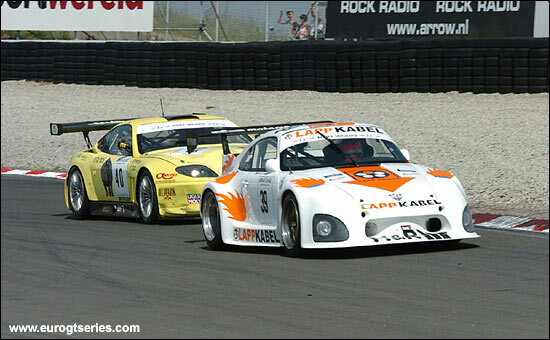 The Euro GT Series name was synonymous with good quality and exciting GT racing. On the other hand we are very happy that we have been able to close a long term deal with Rhino’s. Rhino’s is a perfect partner for us and it will offer the required financial security for the years to come. Organisations and teams can continue to invest into the new event concept, which offers teams and visitors exciting race weekends."